I'm pleased to share with you my first US acquisition since relocating from Sydney. 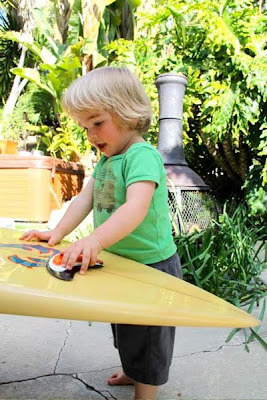 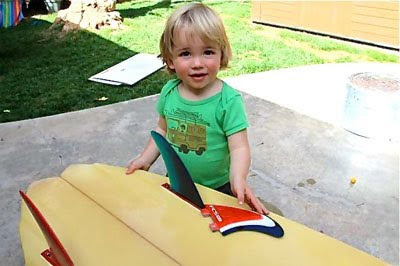 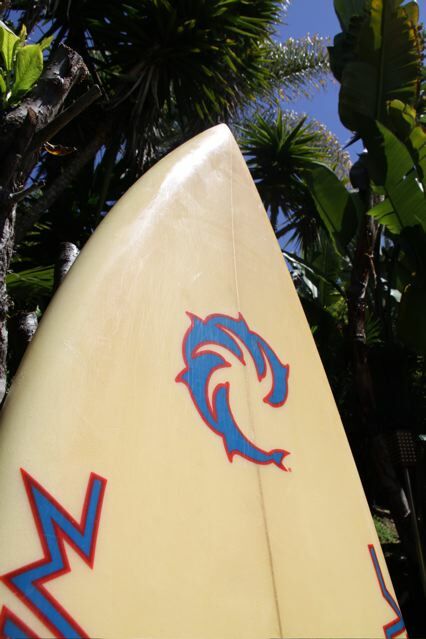 A 6'2 Wave Riding Vehicle triple fly channel bottom, swallow tail, star fin system, twin fin. 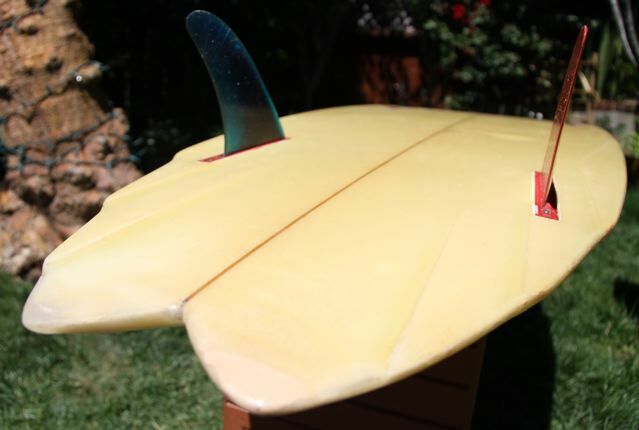 This board was built on the East Coast and its the first East Coast board I've ever had my hands on. 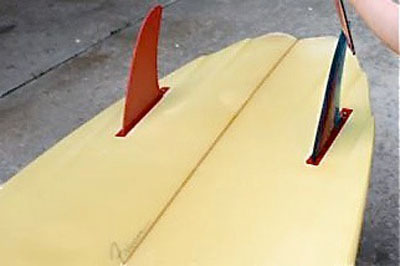 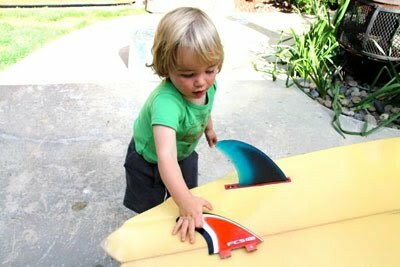 Its nice and thick and features unique channels in the tail that don't extend any further than the fins. 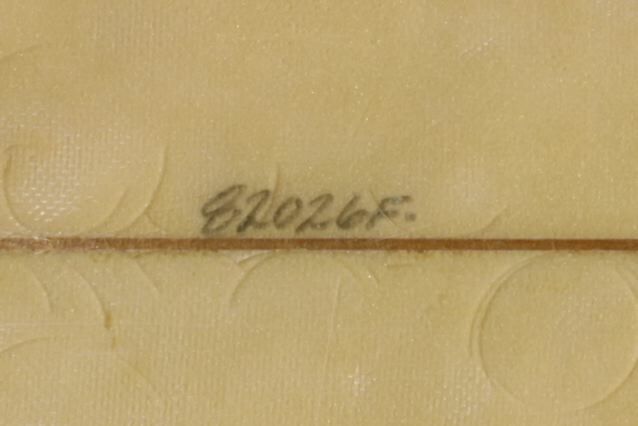 My 'assistant' limited my ability to get a lot of detail shots for you, so I promise there will be more to come. It goes really well in small mushy conditions, which should come as no surprise given its roots. 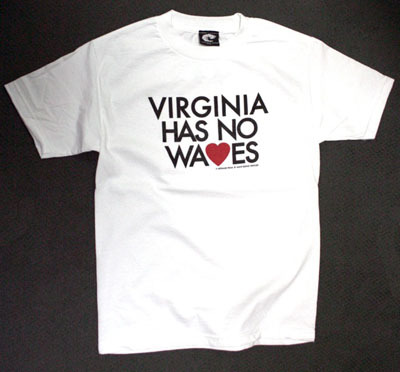 WRV even sell a t-shirt that pokes fun at local conditions. 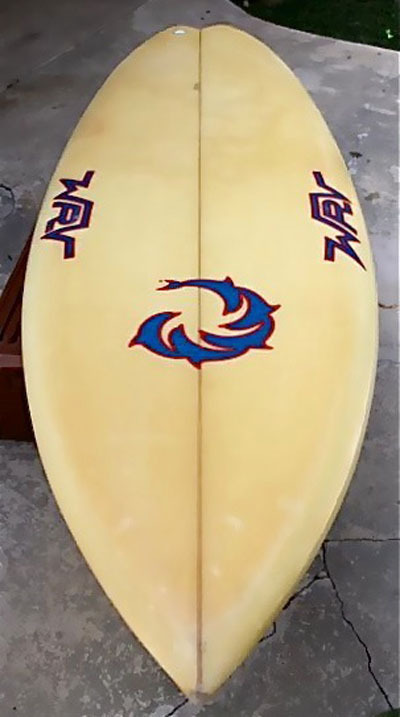 The same way basket ball players buy the same shoes as their favorite professional players, surfers generally order boards that are the same dimensions that the top 44 are riding. 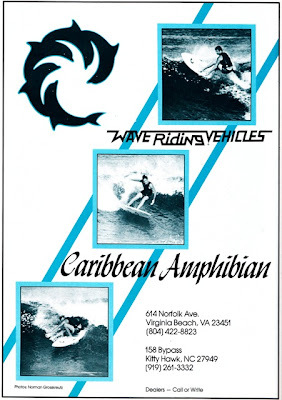 This was great during the 80's when the pro tour spent most of its time at Huntington, Bondi, Chiba , Newquay and that crappy beach break in Brazil. 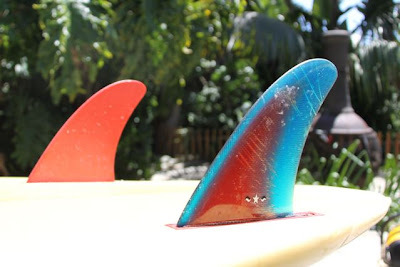 Beaches that have similar conditions to my home breaks of Manly and Bondi and now San Diego, most of the year. But it was a disaster for ordinary surfers when they invented the 'WCT dream tour'. 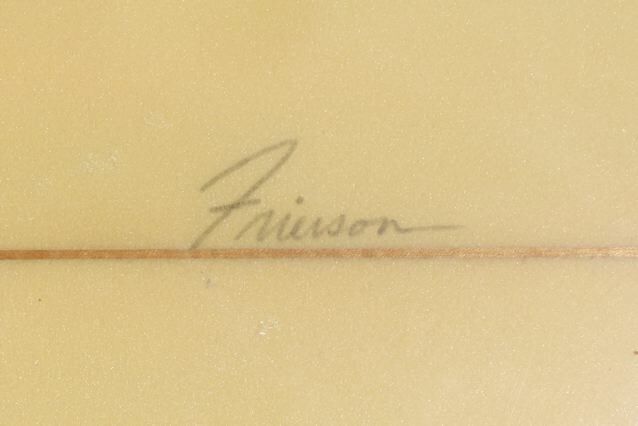 Not only had pro surfers become true athletes but they were only riding boards built for conditions that most of us would see only a handful of times a year. This boards design was based on that of a cigarette smoking, beer drinking 80's pro (not cheyne, maybe simon?!) 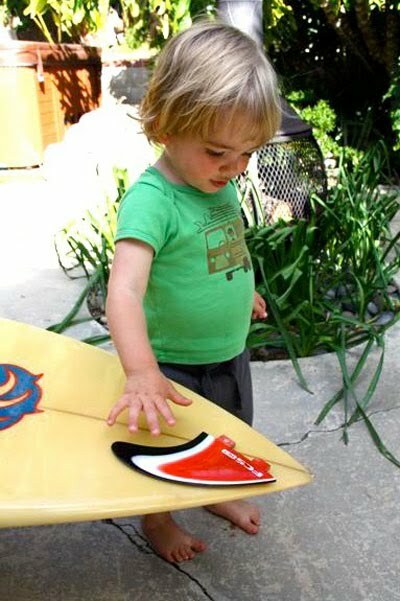 who surfed comps in 2 foot sloppy beach breaks and it therefore is absolutely perfect for me! That was shaped by Bill Frierson not "frisson"